Do you know that there's a product out there called Perma Hedge? 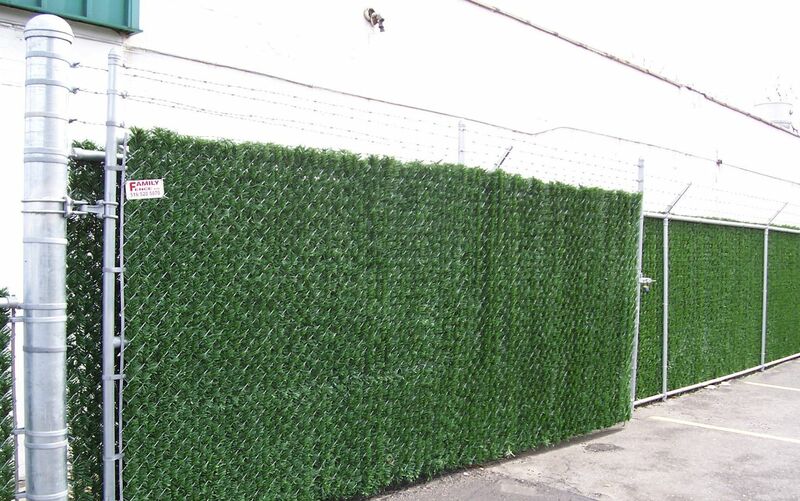 It's the green fuzzy plastic stuff that's supposed to make a chain link fence look like a perfect trimmed up evergreen hedge. I don't know why I even know that, but whenever I drive by one, I need to sing out Perma Hedge. Mum, of course, was very angry at Granny about the whole plastic tree thing, because she likes the smell of a real spruce tree and always said that the plastic tree was something Granny had duped Elsa about. Because it was Granny who had told Elsa about the Christmas tree dance in Miamas, and no one who's heard that story wants to have a spruce tree that someone has amputated and sold into slavery. In Miamas, spruce trees are living, thinking creatures with--considering that they're coniferous trees--an unaccountably strong interest in home design. They don't live in the forest but in the southern districts of Miamas, which have become quite trendy in recent years, and they often work in the advertising industry and wear scarves indoors. And once every year, soon after the first snow has fallen, all the spruce trees gather in the big square below the castle and compete for the right to stay in someone's house over Christmas. The spruce trees choose the houses, not the other way round, and the choice is decided by a dance competition. In the olden days they used to have duels about it, but spruce trees are generally such bad shots that it used to take forever. So now they do spruce dancing, which looks a bit unusual, because spruce trees don't have feet. And if a non-spruce tree wants to imitate a dancing spruce tree, they just jump up and down. It's quite handy, particularly on a crowded dance floor. Doesn't that make you wonder about the sentient quality of your Fraser fir, your blue spruce, your Scotch pine? Mine's been standing in the corner of the living room since Sunday, dark and naked, because I've not mustered the time or energy to drag the boxes of lights and ornaments out of the cellar. I imagine that the tree is feeling morose; it's contributing nothing to home design, and has been completely neglected since we winched it into its stand, not to mention the fact that it was brutally cut down and hauled miles away from its friends and neighbors. If I keep this up, I'm going to be morose. Here's to Christmas trees, decorated with abandon, redolent of pine, lit with love and little white lights. You read the best books :-) Hope the spirit gets you soon! Want a Christmas card from Dave and me? I'm learning about Christmas trees in different cultures. Growing up in upstate New York, my mother always insisted we get Douglas Fir trees. I remember when the tree would arrive, and sit untrimmed for a day or so, how I'd bury my head deeply in its bows and inhale the scent. Later, living in France, you could buy trees of all sizes but a lot of them Charlie Brown styled, and they were sold easily (though pricey) at every florist and also perfumed the room with Christmas scent and spirit. Here in Spain, well, in Barcelona, finding a large tree takes sleuthing and voyaging around the city. And this year, our third Christmas here, I'm once again disappointed that the tree we finally procured, like all the others here, has absolutely no scent whatsoever. Why don't fir trees in Spain smell like Christmas?